Change the password for our account we make gets called in when we're logged in. It should be in the upper menu select Change Password. The website has a form intended for entering data. The first field is the Old password for the current password. 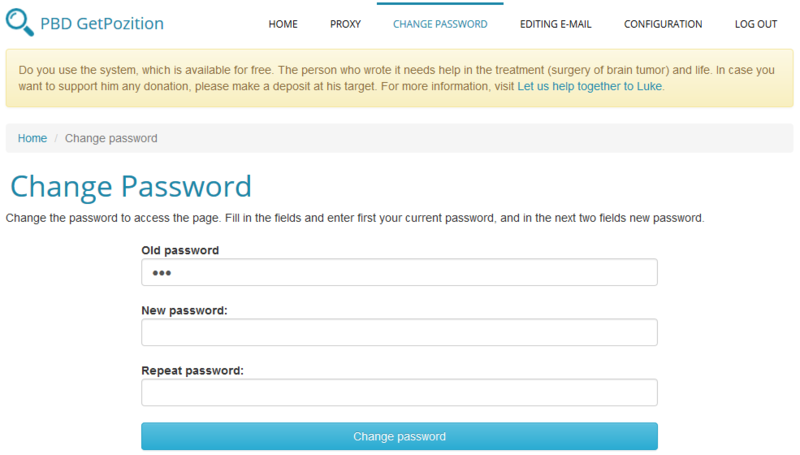 Then the New password field and Repeat the password to enter a new password. Click on the button Change password. When the old password will fit into our current password, and new and repetition are the same then it will be changed.